Beginning with a definition of who the people of The Philippines are, this fully illustrated history then tracks back to describe the prehistory of the country through to 1500 AD. The next two chapters chart the colonial experiences under Spain (1500–1896), then the first republic and the subsequent defeat by the United States (1860–1910). Following this are chapters on the Japanese occupation and the third republic (1910–1972). Next comes a description of the Marcos dictatorship and its consequences (1970–1986) and the book ends with a look at the fifth republic and the future of the country. 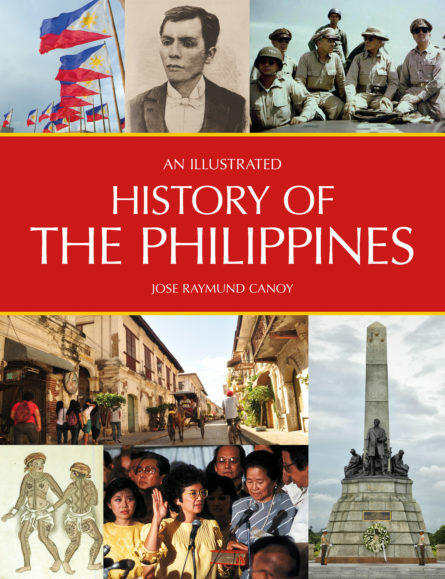 Ray Canoy’s authoritative text describes the history of The Philippines from pre-history to the present day. Ray Canoy writes on world history and was Associate Professor of European History at the University of Oklahoma until 2013. He has a PhD from Indiana University and is the author of The Discreet Charm of the Police State: The Landpolizei and the Transformation of Bavaria 1945-1965. He is working on a study of Ireland and the Philippines as agrarian Catholic ex-colonies of imperial Western powers, as well as a novel of Sundaland, a dry-land, alternate-world Southeast Asia where the Ice Age never ended. Born in Cebu, he lives in Europe.